Quill & Brush Press. Hardcover. 1883060133 New Condition. . New. Quill & Brush Press. Hardcover. 1883060133 Like New Condition. . Fine. Quill & Brush Press, 2011 Fourth edition. First printing, signed by both authors. Dust jacket protected in Brodart, has edge wear, minor creases, minor scratches, rubbed corners/spine. Boards have edge wear, rubbed corners/spine. No writing in text. Very good.. Signed by Author(s). First Thus. Cloth. Very Good/Very Good. ISBN:0399142797. First Edition/fifth printing. 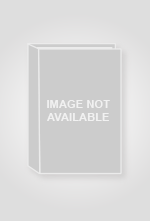 [4to] 769p. Fine in custom cut and fitted Clear Archival Duralar Protector. Quill & Brush Press, 2011-06-06. Hardcover. Good. 1997-01-05. New. Ships with Tracking Number! INTERNATIONAL WORLDWIDE Shipping available. Buy with confidence, excellent customer service! 1991-03-07. New. Ships with Tracking Number! INTERNATIONAL WORLDWIDE Shipping available. Buy with confidence, excellent customer service! 2000-09-01. New. Ships with Tracking Number! INTERNATIONAL WORLDWIDE Shipping available. Buy with confidence, excellent customer service! Putnam Adult, 2001-11-12. First Edition, First Printing. Hardcover. As New/As New. Signed by both authors. Signed by both authors. First edition with full number line on the copyright page. Out of print. 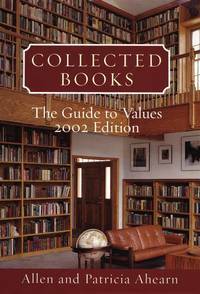 Collected Books 2002 is considered the largest and most comprehensive single-volume guide to current market values of collectible books. Used by most book dealers and serious collectors. 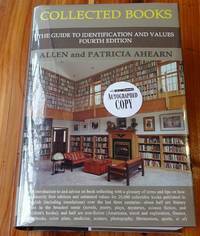 This book explains how to identify first editions of rare and collectible books and covers a wide range of subjects, including Americana, early printed books, literature, mysteries, science fiction, children's books, natural history, photography, and travel. Values quoted range from $200 for a 1st edition of Charles Frazier's Cold Mountain, to $750,000 for the original London 1865 edition of Alice's Adventures in Wonderland, and beyond. 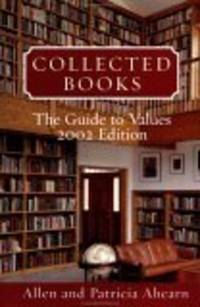 This is a must have reference for any book collector or rare book dealer. New York: G.P. Putnam's Sons, 2001. quarter cloth with paper-covered boards, dust jacket. 8vo. quarter cloth with paper-covered boards, dust jacket. viii, (iv), 788 pages. 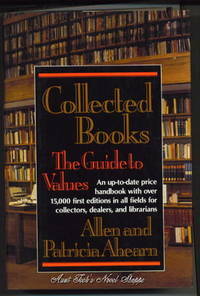 Revised edition of the 1998 price handbook with up-to-date values for more than 20,000 first and important collected editions. 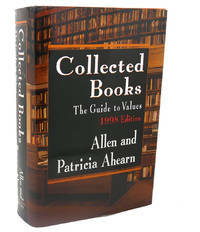 The largest and most comprehensive single-volume guide to current market values of collectible books in the United States,Collected Books is used by most book dealers and serious collectors in the country. It explains how to identify first editions and covers a wide variety of subjects, including Americana, early printed books, literature, mysteries, science fiction, children's books, natural history, photography, and travel. "This richly informative reference volume offers authoritative guidance for every manner of bibliophile" (Nicholas A. Basbanes, author of A Gentle Madness). New York,: G. P. Putnam's Sons. Hardcover. 0399147810 6-1/2 x 9-1/2 in. 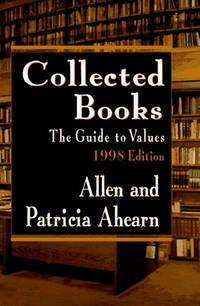 Book Value Guide GOOD, JACKET IN MYLAR; 788 pages; Alphabetical listing of first editions with estimated value; bibliography and 1st edition identification by publisher. . Good. 2001. New York: Putnam Adult. 1997. First Edition; First Printing. Hardcover. 0399142797 . Near Fine in a Near Fine dust jacket. Edge wear to lower edge of front panel. 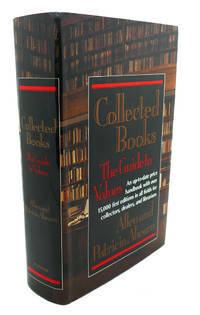 ; 9.40 X 6.20 X 2.20 inches; 784 pages; Original unclipped dust jacket protected by archival Brodart cover. All domestic orders shipped protected in a Box. .
New York: G. P. Putnam's Sons. 1991. First Edition; First Printing. Hardcover. 0399136630 . Near Fine in a Very Good+ dust jacket. Edge wear. ; 9.10 X 6 X 2 inches; 636 pages; Original unclipped dust jacket protected by archival Brodart cover. All domestic orders shipped protected in a Box. .
G. P. Putnam's Sons, 2001-11-12. 2002. Hardcover. Used:Good. NY: Putnam. Near Fine in Near Fine dust jacket. 1991. 10th Printing. Hardcover. 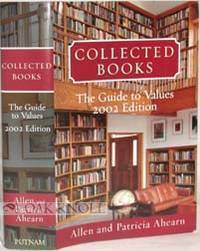 The long-awaited successor to the classic "Book Collector's Handbook of values" by Van Allen Bradley, this is the largest, most comprehensive and up-to-date single volume guide to current market values of collectible books in America. [This book] goes beyond the Bradley work to include books published before 1800, to present information that allows collectors to identify first editions of books in hand and to provide prices that are current rather than projected. ; Small 4to 9" - 11" tall; 636 pages; 11601 .